Brides show their personality with style-defining accessories on the big day. If there is one fashion truism for women these days, it is this: A dress is merely a dress until the wearer makes it her own. Even with magnificent wedding gowns, the “perfect dress” is just the beginning of a modern bride’s look, only the sketch of a full masterpiece—complete with accessories such as jewelry, headpieces, sashes and more—that will reflect her unmistakably personal style. Just how many accessories any bride might pull together will depend upon her personal taste. As the glamorous world of bridal offerings takes its cues from current fashion trends, brides have more to consider than ever. From adding an embellished sash, dangling chandelier earrings or a forest-fresh crown of flowers to incorporating a keepsake of vintage lace, women are embracing the fact that it’s actually what they pair with that striking gown that defines their signature wedding-day look. Accessories also allow the bride to easily make an intriguing transformation from ceremony to reception to after-party—adding, subtracting and redefining her look along the way. More than an updo that’s tousled loose or a bolder shade of lipstick, the bride employs accessories to complete her transition from one part of the big day to the next. Some of these opulent touches do double or even triple duty. Take, for example, the Sophie, a highly desirable piece at wedding accessory rental website Happily Ever Borrowed (happilyeverborrowed.com). This gleaming strand of Swarovski crystal floral pendants on a ribbon tie can be worn as a headband, necklace or sash. Crystals and pearls are just a few of the irresistible baubles that brides are slipping into as they layer their look with accessories. Custom charms add flair to traditional bouquets. In addition to pieces with some history, bridal jewelry of the moment falls right in line with fashion. Trending rose gold has lit up the scene in addition to ethereal touches produced by metallic trims or artistically structured feathers. 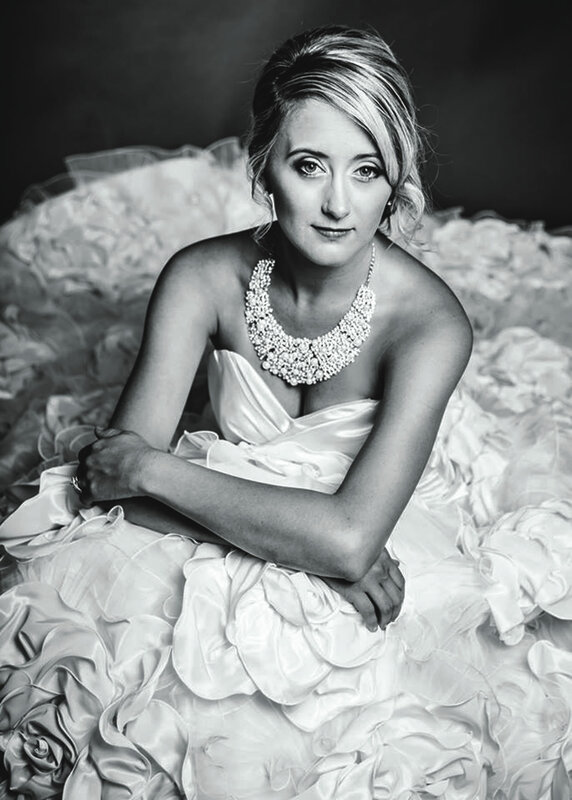 “Large statement necklaces, chandelier earrings and bracelets are bringing high-fashion style to simpler and modern bridal gowns,” says Brittany Haas, founder of Happily Ever Borrowed. “The buzz surrounding the film has yet to calm down, which means dazzling, art deco-inspired pieces are popping up everywhere—bracelets, earrings, even vintage engagement rings—you name it,” she says. Accessories even extend to the tresses, as brides begin to focus less on hairstyles than what accouterments can be added to those loose curls or sleek updos. Dramatic veils are back in the spotlight where they find fine company with embellished headpieces, sparkling headbands, feathers and bejeweled hair accessories—from encrusted hair combs to custom hair jewelry that mixes new and vintage or crystals and pearls. Jodi Cohen and Sarah Lowy of Beverly Hills, Calif.-based JOWY Productions explain that most brides want something unique, but not too trendy or outrageous. Similar to dress shopping, choosing accessories simply based on trends could make wedding photos look dated only a year later. 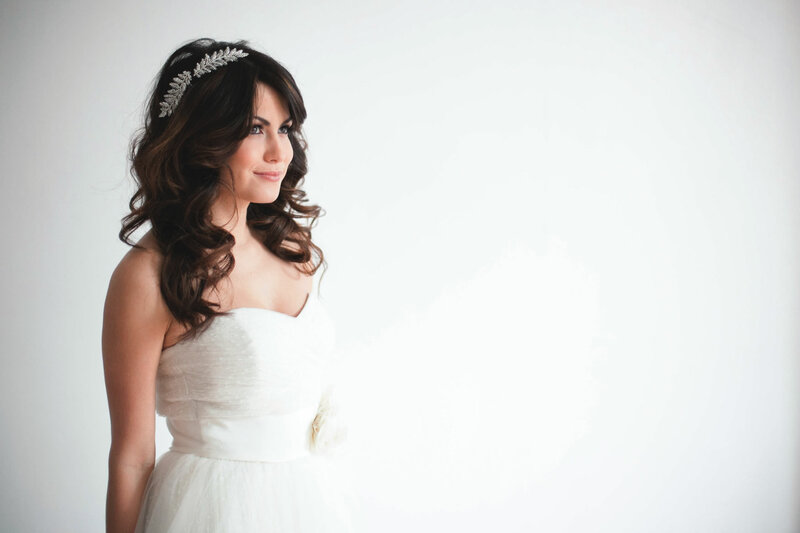 Hair accessories like those from Happily Ever Borrowed give ensembles an elegantly vintage feel. A classic or simple silhouette is the ultimate starting point from which to personalize a bridal look with accessories. “The most go-to add-on is hands down the bridal belt or sash,” Pool says. “It can totally change the overall look of a dress and, when used properly, can enhance the bride’s figure or hide any flaws.” As part of Pool’s Grayson Elise accessories line, the Reagan belt instantly adds a golden touch. With crystal details, floral threading and pearl accents, If there is one fashion truism for women these days, it is this: A dress is merely a dress until the wearer makes it her own. Even with magnificent wedding gowns, the “perfect dress” is just the beginning of a modern bride’s look, only the sketch of a full masterpiece—complete with accessories such as jewelry, headpieces, sashes and more—that will reflect her unmistakably personal style. The Reagan by Grayson Elise is an embellished ribbon that transforms from a headband to a sash. “The most go-to add-on is hands down the bridal belt or sash,” Pool says. “It can totally change the overall look of a dress and, when used properly, can enhance the bride’s figure or hide any flaws.” As part of Pool’s Grayson Elise accessories line, the Reagan belt instantly adds a golden touch. With crystal details, floral threading and pearl accents, this stunning applique glistens like sunlight off a barely-there sheer organza ribbon. In addition to belts, dainty bolero jackets, capes of all cuts and fanciful cuffs each have their place with the right dress. Add to the list vibrant shoes peeking beneath a hem in “something blue” or the bride’s favorite color. To transform a sleeveless dress, just add cap sleeves—either permanently or in a way that allows them to be detached. The scalloped ivory tulle Lena cap sleeves by Grayson Elise are adorned with floating floral rhinestones for a look that’s lighter than air. 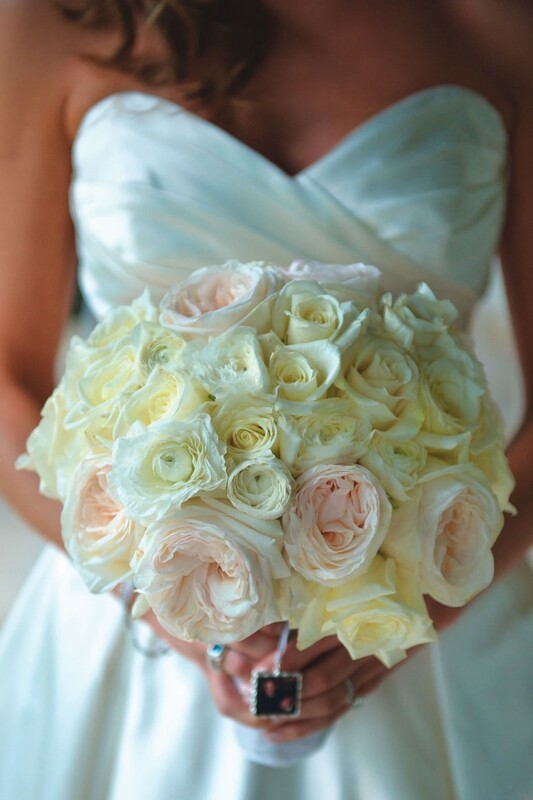 No matter what design a bride ultimately chooses, the key is to add accessories that reflect her own signature style. Jewelry, headpieces, sashes and bolero jackets all help to customize an ensemble and create a look that’s as one-of-a-kind as the bride. Next articleWelcome to Sea Island and to the latest issue of Sea Island Life!